I am a figure skater through and through, down to the bone. It hurts me and my fellow skaters to see you all with your noses in the air saying that figure skating isn’t a real sport. Isn’t hard. Isn’t painful. Doesn’t require money or time or effort. Is for little girls. Is to be used as a hobby. Should be used for birthday parties and dates and big group get togethers. Now you will know. Now you will understand how mush skating takes out of you. And what the costs are: money, time, effort, and body. Skating is one of the most expensive and dangerous sports of all time for a reason. It’s one of the ones where you damage your joints, bruises and abrasions are the norm, you cut your hands and fingers, and you can impale yourselves on your blades. Yes, blades. What did you think skating was. Some super easy, low key sport for those who don’t want to try for anything? What did you think the skates were? Dull pieces of metal attached to weird looking boots? WRONG! I hope you realize that skates are dangerous and that skating is dangerous. If you don’t, please. I hope you’ve figured it out by now. In singles(The skating discipline where one skater - male of female - performs alone on the ice. )if you fall out of a spin or a jump wrong you can break bones. The singles skaters do single, double, and triple, and even(very rarely) quad jumps. That means one, two, three or four rotations. Axels are even harder. A single axel is one and a half rotations, a double is two and a half, a triple is three and a half, and a quad is four and a half. In pairs(A skating discipline in which a partnership, typically composed of a male and female skater, performs overhead lifts, twist lifts, throw jumps, side-by-side spins and jumps.) if your partner lifts you or throws you wrong you could very well die or be seriously maimed. Also, in pairs there is a required move called a death spiral(An element in pair skating in which the woman skates on a deep edge with her body close to the ice and skates in a circle around the man, who is in a low pivot position and holding her by the arm.) and if your partner wobbles the woman’s head can and will hit the ice and she could DIE! In ice dance(The skating discipline in which two skaters perform a choreographed dance.) there are no throws but there are lifts. This option may seem less dangerous but think again. My ice dance coach Eric Meir, was sixteen and dancing with his partner when he went into to deep of an edge and hit the wall of the rink. His knee was in pieces on the ice, and a shovel was needed to remove them. Since then Eric has had a metal knee and has told me that the skin on his knee is effectively a tic-tac-toe board of scars. He’s had about sixteen surgeries and many operations. Is skating easy and not dangerous now? All in all skating is dangerous. You can damage your joints and break bones and cut your fingers and impale yourself on your blades. Now let’s not even get started on how much time that skating requires. It’s ridiculous. I know that with most other sports you have maybe - maybe - a one hour practice once or twice a week. 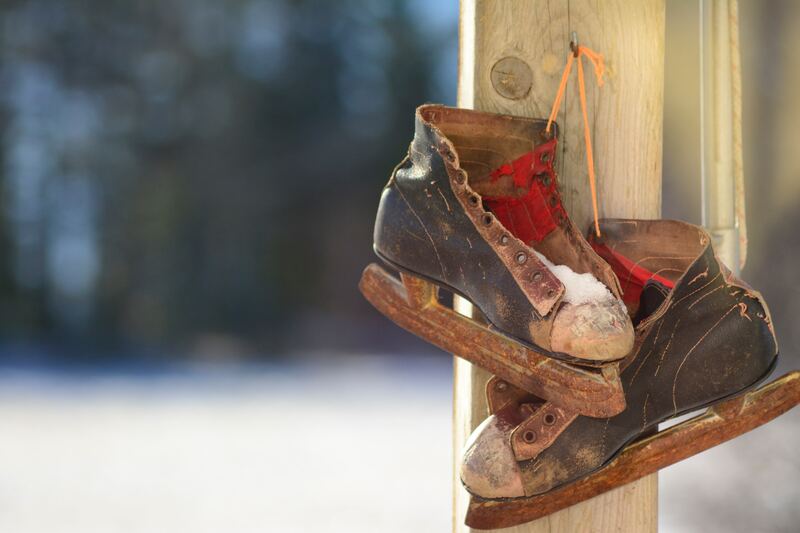 But in skating, the ones who are completely committed and all in are on the ice for about six to eight hours a day and stretch for one and a half to two. And if you think time is all skating takes up then you are dead wrong. The cost is enormous. Costuming, skates, coaching, ice time, medical, and other miscellaneous costs. Costuming alone is really expensive. Olympic ice skating costumes cost anywhere from $500-$5000. I know right. Expensive. Ice time is also not cheap. At my rink(SkateNation Plus, 4350 Pouncey Tract Rd, Glen Allen, VA 23060) in order to get a book with five hours of ice time you have to pay $80. Coaching is even more expensive. Some coaches charge $20 dollars for a half hour. Some charge 15. Some charge 25. Some charge 30. One coach, Valentin, only does 45 minute lessons and charges something along the lines of $50 per lesson. And the skates. The most important part of skating are the most expensive. Costing anywhere from $50-$1000. So. Do you still think skating is easy? Stupid? Cheap? If this didn’t convince you then nothing will. Just be a little more considerate next time you go talking about something you don’t understand.